Accessories, cigarillos and a whole bunch more. In a hurry, we always have tailgate or sampler packs right in front and ready to go. Your Cigar Den pipe tobacco house blends include some local favorites you are sure to love. Come check out our huge selection of flavored cigars including ACID, natural, coffee and sweet tipped. 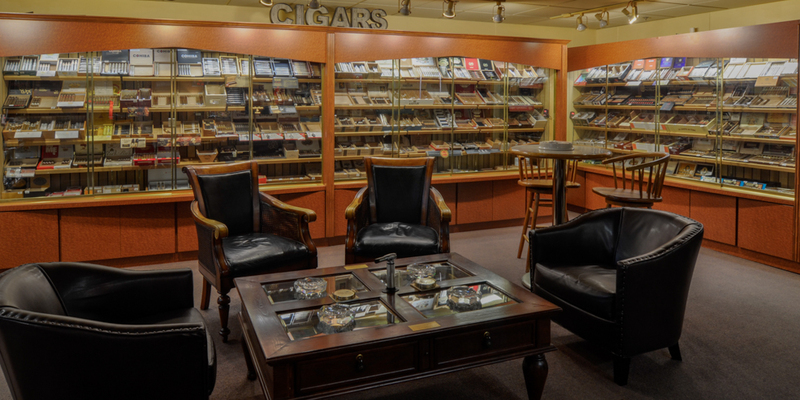 Whether you smoke cigars or a pipe, stop by and stay for a smoke in one of our lounges. You will certainly find an exciting new blend or cigar and meet some interesting people that will quickly become your new friends. 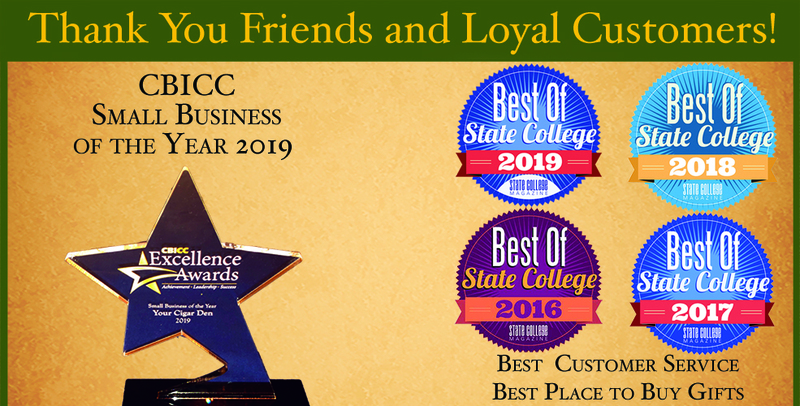 With an expanded cigar and accessories selection, low prices, excellent air filtration and strong focus on customer service. We are dedicated to making the shop "Your Cigar Den"